One of the area’s fastest-growing cupcake specialty stores is coming to Southfield’s City Centre district. Just Baked, headquartered in Livonia, opened Wednesday, March 21, 2012 in the City Centre Plaza at 25198 Evergreen Road, just north of 10 Mile Road. Marchand, a Michigan native, and her husband, Dan Crowley, are big proponents of living, working and investing in the state. 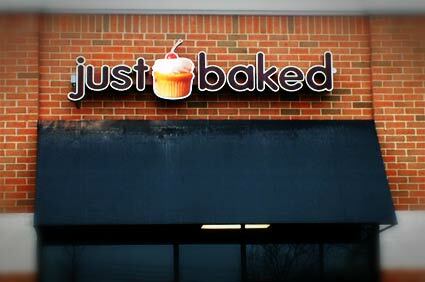 They are opening the Just Baked franchise as a way to help grow Michigan’s economy. The Southfield Just Baked will be the local chain’s twelfth store in metro Detroit. It will offer more than 50 flavors of gourmet, “jumbo” cupcakes including red velvet, white chocolate raspberry, and German chocolate. The store also will sell special-order custom cakes and other baked goods. The Southfield Just Baked store is open Monday-Wednesday and Saturday from 11:00 a.m. – 6:00 p.m., Thursday-Friday from 11:00 a.m.-7:00 p.m., and Sunday, 12:00 p.m.-5:00 p.m. Marchand is offering a coupon for the first month that will allow customers who purchase three gourmet cupcakes to receive an additional free cupcake. Email justbakedsouthfield@yahoo.com to receive a flyer containing the coupons. Just Baked company owners Pam and Todd Turkin of Franklin opened their first shop in Livonia in 2009. The cupcake specialty shop and bakery offers more than 50 different cupcake flavors. All of the cupcakes are made fresh daily. Just Baked also sells special-order cakes, cupcake towers, cookies, brownies and more. Visit www.JustBakedShop.com for more information.